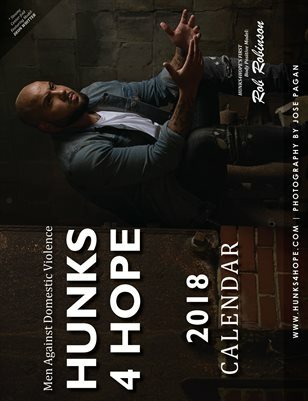 Hunks4Hope is a charitable organization that focuses on economically and emotionally empowering women; specifically domestic violence survivors. Proceeds from the sales of their yearly calendar go towards programs and workshops that provide the tools and education that survivors of abuse need to move past the painful experiences of trauma and toward joy. They work with local grassroots domestic violence organizations in a collaborative effort to spread domestic violence awareness and provide resources to those in need. Hunks4Hope is also an award-winning organization. They were the recipients of the 2016 Organization of Excellence Award presented by the Purple Partners of the YWCA Brooklyn. *Proceeds benefit the Milagros Day Worldwide and Casa Esperanza Para Mujeres Y Ninos Domestic Violence charities here in NYC.